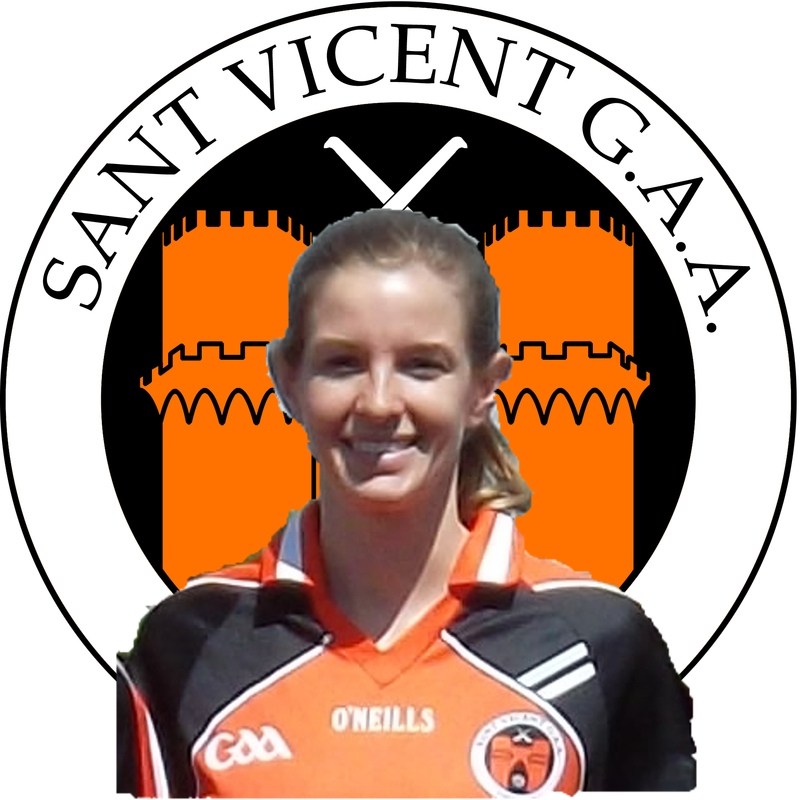 The veteran defender had a typical solid day for in the black and orange, demonstrating her usual tenacious style in the back line. 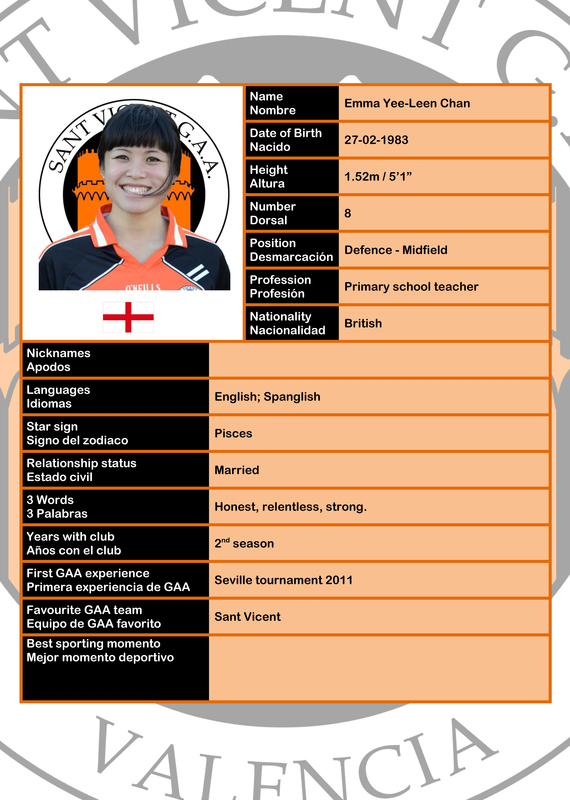 Dee has become well-known in the league for her aggressive on-ball defence and outstanding ability to block shots. These qualities were again on display this weekend, as was her desire to join the counter-attack which saw her put over a couple of points as well. The ladies’ captain had a exemplary performance in the middle of the park this past weekend. Emma’s work ethic is something always noted by friend and foe alike, but on this occassion she also showed the attacking dimension of her game. Over the five games she played, the second-year player tallied a goal and 9 points, while demonstrating a cool head in front of goal on the breakaway. 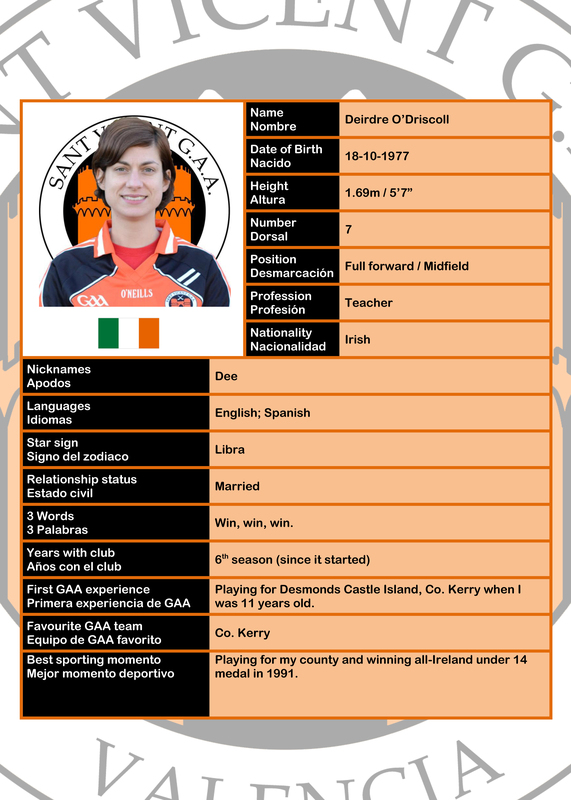 In her first ever GAA tournament, the American midfielder turned a few heads with her speed and ball control. When presented with the opportunity to shoot, Laura was not shy and converted on 3 points helping her team to remain competitive in their first championship outing. The English half-back was his typical solid self on the defensive end of things keeping opposing half-forwards quiet throughout all three games. With the controlled possession of Valencia’s first two games in particular, Tom was also afforded the opportunity to lend his hand in attack, and was able to take advantage of this freedom by marking his second ever point as a Sant Vicent player.